Sustainable development is the common and eternal theme of human society. With the rapid development of modern industry, agriculture and service, the ancient carbon balance has been broken. The carbon that was originally stored underneath the earth, represented by fossil energy and organic substances, has been released in large quantities, resulting in a series of ecological and environmental problems such as increased greenhouse gases, soil degradation, and declined quality of the cultivated land. All these factors contribute to the general tone of the global climate change, which possess impacts on the already fragile food security, energy resources, and the safety of environment and ecology. Re-introducing carbon and restoring it in the land is an important way to deal with the global climate change. Among many technologies for carbon capture and storage, biochar technology has received increased attention and high expectation. First, biochar can be used as a stable carbon-rich product. After carbonizing biological materials and returning them to farmland, they can not only reduce carbon emissions, but also have a broad application prospects in improving the physical and chemical properties of soil, enhancing the quality of cultivated land, and increasing the crop yield. The large-scale industrial applications of biochar technology also provide important ways to achieve the use of alternative resource to reduce carbon emissions, which will lead to the mitigation of global climate change. Secondly, as a renewable energy source, the combustible gas produced during the production of biochar can partially replace fossil energy. Thirdly, as a biomass-based material, biochar can also be used for soil remediation, environmental improvement, and many other areas to be developed. The biochar technology is initiated from the modern understanding of ancient, consciously or unconsciously employed agricultural technologies and the trend of global climate change has enriched its content and resulted in a continuing increase in biochar-related research. However, there is still a big gap to reach the comprehensive and objective clarification of its mechanism, effectiveness, and carbon production technology. The relevant theoretical research, technology development, industrial economy and other related aspects are still in a preliminary stage, which presents an unopened area with great value. Therefore, all of these make us to have a beautiful vision for the future of biochar. Biochar, sponsored by Shenyang Agricultural University and published in cooperation with Springer Nature Group, mainly publishes innovative articles in the fields of biochar-related preparation and processing, carbon-based materials, soil improvement, climate change, energy use, and rural and regional development. It is aimed to provide an innovative, efficient and professional platform for the researchers in the area of biochar around the world, to promote the healthy and rapid development of biochar, which is both an ancient and new technology. 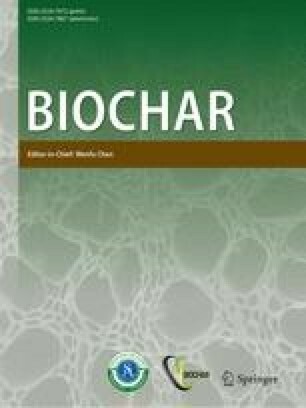 I am honored to be the founding editor of Biochar, and also honored to have an international and renowned editorial team. We will maintain a scientific attitude of prudence and rigor, and the spirit of pioneer and innovation. We hope to promote the rapid development of biochar research and technology through the exchange of thoughts and the innovation in science and technology. Let us work together to explore the future of biochar for sustainable development of our society and for better human life.